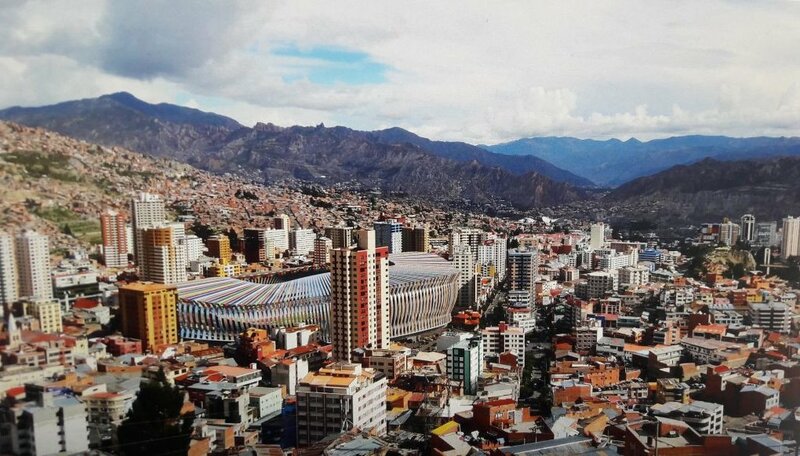 Famous for the altitude it's located on (over 3,600m above sea level), the national stadium of Bolivia at the heart of La Paz is expected to be completely redeveloped by 2020 in order to meet all FIFA requirements once more. Decision to revamp it was made by the president's office, La Paz Football Association and two tenant clubs, Bolivar and The Strongest. 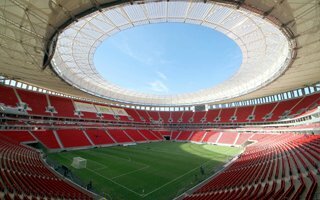 The concept was drawn by global leaders Populous, who reconfigured the auditorium entirely, though not getting rid of all stands. The western two-tier grandstand will be retained as the only curved one. Two strips of private boxes are planned, one at field level and one between the tiers. 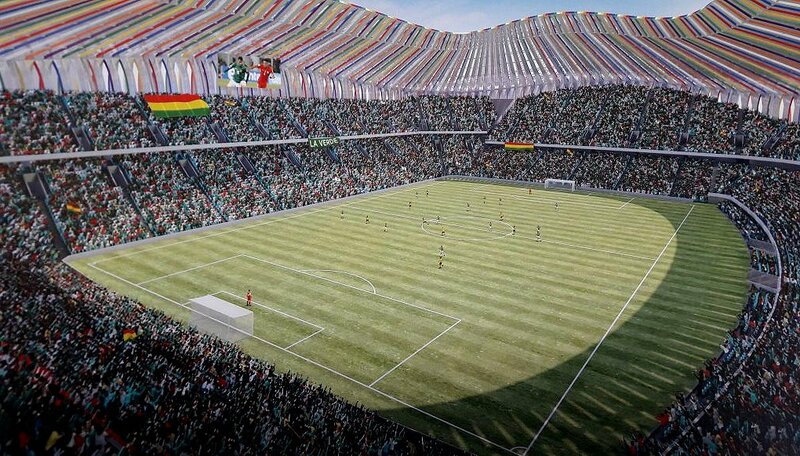 All remaining sections will be rebuilt in order to achieve a more compact layout, for the first time with no running track at the stadium. 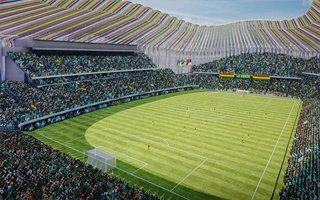 Capacity will rise very significantly from 42,000 to some 56,000. 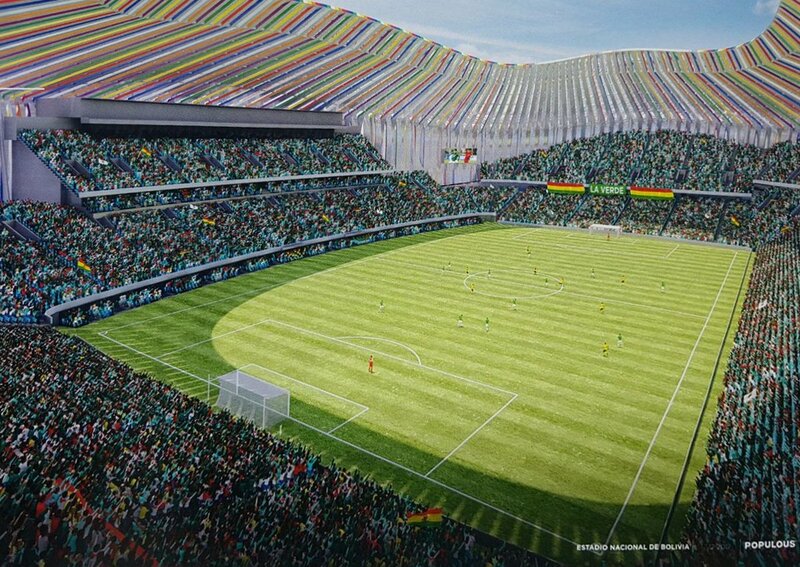 All of the stadium will be covered by a light canopy, which will combine traditional white membrane with brightly-coloured strips spanning onto the facades. The roof and outer cladding will not be entirely opaque, the canopy will also protect from the sun and create barrier reducing light and noise pollution to the densely inhabited area.